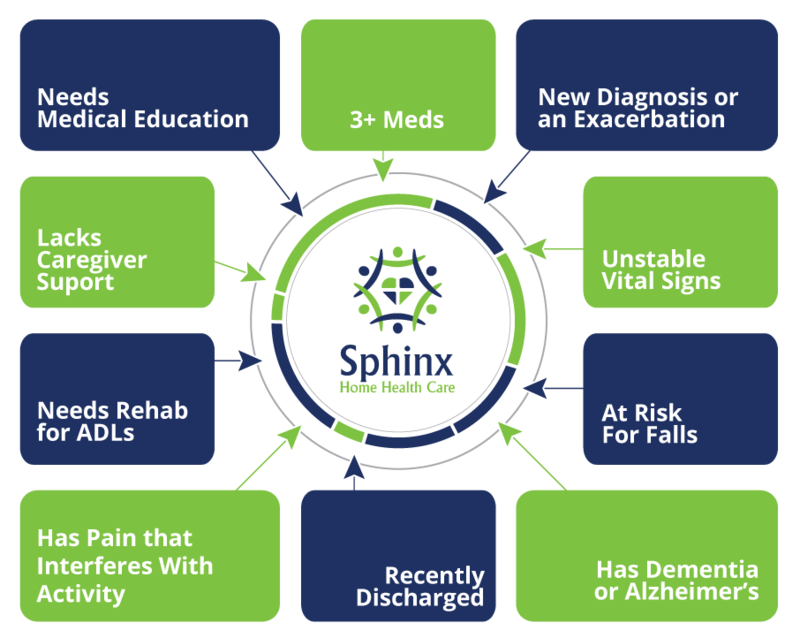 At Sphinx Home Health Care, our clinicians are licensed, highly qualified and ready to give the one on one level of care you won’t find with any other home healthcare provider. We believe in continuity of care, so patients will be treated by the same nurse and/or therapist at all times. Accepting wide range of Insurance plans. Allscripts / Fax or Web Portal Referral options. 24/7 LIVE referral line including weekends and holidays. Complete coverage in Macomb, Oakland and Wayne counties. “High Acuity” cases including Infusion, Wound/Ostomy care, CABG. We only employ Nurses and Therapists with at least 5 years Home Care experience. Online Patient Education Website in 21 languages. Multi-lingual speaking Nurses and therapists. Specialized programs: Pre-Post Gastric Bypass, Pre-Post Joint Replacement, Fall Prevention, Pain Management, CHF, Diabetes Management. At Start of Care, every patient is setup with a weekly medication reminder box (free of charge). How often home health patients had to be admitted to the hospital? This information comes from Medicare claims for patients beginning home health care between April 1, 2015 - March 31, 2016. How often patients receiving home health care needed any urgent, unplanned care in the hospital ER – without being admitted to the hospital? Call us to request access.